Everyone is aware that smoking causes cancer and heart disease. Here's one more reason to kick the habit. 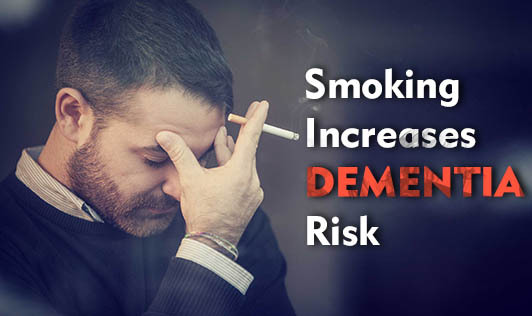 A recent study shows that heavy smoking in middle age doubles the risk of both Alzheimer's and vascular dementia later in life. Alzheimer's is the most common form of dementia where people lose their memories and ability to take care of themselves. It affects more than 26 million people globally. So, what are you waiting for? Throw that cigarette pack out and resolve never to smoke again!